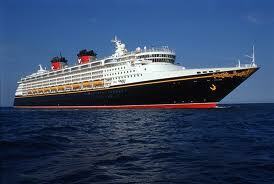 Exciting news for 2013 is the return of Crystal Cruises and the inaugural Alaska seasons for Oceania Cruises and Disney Cruise Line. In all 12 cruise lines will be calling at Vancouver this year. This year (2013) will see 27 different cruise ships in the port of Vancouver. According to the Port of Vancouver, Vancouver offers more ships and departure dates than any other port. Vancouver is the leading homeport to Alaska and the only gateway to Canada's Inside Passage. On April 17 we will see the first cruise ship (Crystal Symphony), with the rest of the cruise ships in late April and then at the beginning of May. Princess Cruises will be sending 5 cruise ships: Golden Princess, Diamond Princess, Coral Princess, Island Princess, Sapphire Princess. Holland America (HAL) will be sending 7 cruise ships: Zaandam, Volendam, Zuiderdam,Statendam, Amsterdam, Oosterdam, Westerdam. Norwegian Cruise Line (NCL) will be sending 2 cruise ships: Norwegian Star, Norwegian Pearl. Royal Caribbean (RCL) will be sending 2 cruise ships: Rhapsody of the Seas, Radiance of the Seas. Celebrity Cruises will be sending 2 cruise ships: Century, Millennium. Carnival Cruise will be sending Carnival Spirit, Regent Seven Seas will be sending Seven Seas Navigator, Silversea will be sending Silver Shadow.